The winter created many new potholes on roads, driveways and other such surfaces which seem to show up horribly now that the sun's changing position in the sky. As the warm weather tempts us outside more, we are driving extra miles, taking caravan holidays and generally enjoying the outdoors again after a long bout of cold weather. These combining factors make potholes ever more noticeable and it’s the ideal time to get them fixed up; Twistfix provide the solution in the form of our Pothole Repair Kit, which is designed to suit a wide and diverse array of surfaces from public roads and pavements to driveways, patios, sports courts, car parks, paths and more. Potholes begin due to fatigue of the surface caused by ordinary use. Tiny hairline fractures develop, gradually widening as the edges work loose and and picked out. Water is the worst enemy because once it gains access to the cracks it readily fills them, beginning the process of erosion. Such tiny amounts of water freeze easily, which widens the crack slightly and permits more water to enter. This is the dreaded freeze and thaw cycle. It is extremely damaging and is the reason that so many potholes form in winter and early spring. They will continue to get worse without attention and can pose a health and safety risk as well as becoming an eyesore, particularly on sunny days. Potholes are responsible for many accidents, especially among cyclists and pedestrians; of this latter category, it is young children, the elderly and those with mobility problems who are most at risk. 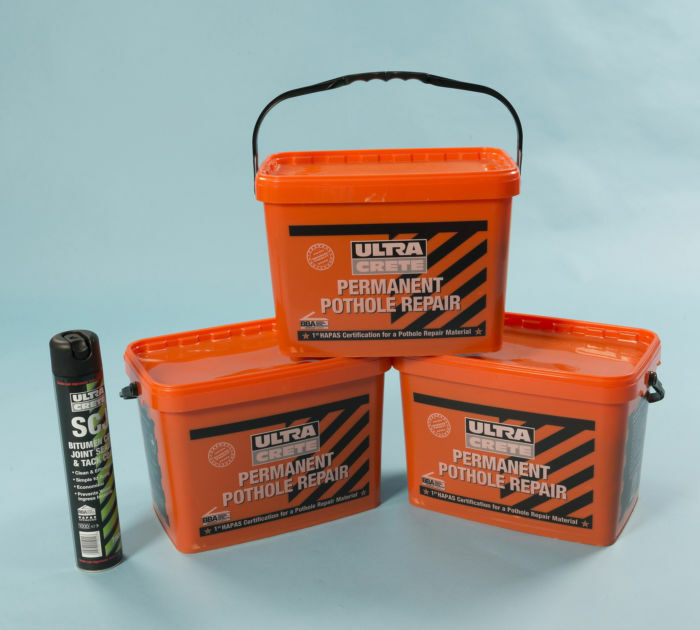 Providing an instant lasting repair to tarmac and asphalt surfaces, Twistfix Permanent Pothole Repair is of highway-quality and guarantees the most professional result. Bought as part of a comprehensive kit, the formula prevents further cracking and water ingress to ensure that the freeze thaw cycle won't start up again. Find out just how competitive our prices are on this product!